Lansinoh is supportive of breastfeeding and pumping others everywhere! Thanks to them, this giveaway was made possible. We support all moms who are lactating and we are all for helping them continue providing their child with all the needed nutritions of their mother's breastmilk. This giveaway is hosted by Capturing The Moment and sponsored by Lansinoh! Check out Capturing The Moment's blog for more giveaways similar to this, and Lansinoh for more products similar to this to help you during those special breastfeeding moments. Lansinoh's Manual Breast Pump has all these amazing features, you don't want to miss out on them! Giveaway starts 9/14 and ends 10/6. Open to US residents, 18+ only. CTM and other participating bloggers are not responsible for prize fulfillment. CTM host will follow up with Lansinoh if prize is not received within a timely manner. Winner will have 24 hours to respond to winning email or forfeit their prize to a new winner. Disclaimer: CTM was compensated in product in exchange for an honest review and promoted posts, including giveaways as a Sponsored Breastfeeding Blogger. All opinions are her own and are not altered in any way. 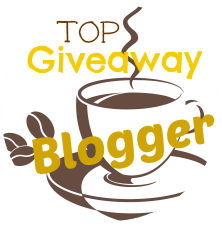 Most or all opinions expressed in this post do not pertain to the bloggers associated in promoting this giveaway, or Lansinoh.